Yoav Blum is an Israeli author and software developer. His first three books became instant Israeli bestsellers. 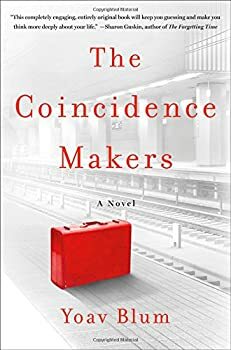 The Coincidence Makers, his U.S. debut, will be translated into more than ten languages. He currently lives in Israel with his wife and two daughters. When he is not writing (literature or code) he contemplates what he’ll do when he grows up. 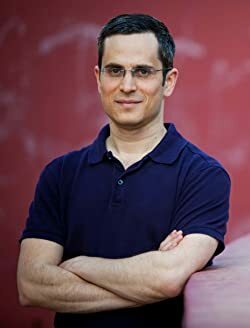 CLICK HERE FOR MORE BOOKS BY YOAV BLUM. Behind the scenes of our lives, pulling the strings for the benefit of humanity, are the people assigned as “coincidence makers,” arranging the events that need to happen in people's lives, both on a personal and larger scale. It may be making a particular love connection by arranging that two people meet at the right time, or taking steps to help an accountant find his true work in being a poet, or ensuring that an assassin is pointed in the right path to later do society a larger good. Coincidence makers work for a hidden organization that supervises and directs their generally benevolent efforts, along with those of imaginary friends, dream weavers, luck distributors and other useful employees, endowing them with supernatural powers, while insisting on compliance with a plethora of bureaucratic rules and restrictions.